Delay Poll - which one to get? Discussion in 'Effects, Pedals, Strings & Things' started by buzzp, Apr 26, 2016. I loved the modulation on my DMB lunar echo, but can't find one at a decent price these days. I had a Moog MF-delay that was AWESOME, but it had no modulation. Just got rid of an Echo Puss because I didn't like the repeats. Forgot to add the Counterpoint and MLjr. I like the BOSS Waza Craft DM-2W and the MXR Carbon Copy is pretty cool as well. My tastes are pretty simple when it comes to delays. I haven't played through a Carbon Copy in a while, maybe I need to revisit. The DM-2w is great, but no modulation. I absolutely love the Belle Epoch. It can encapsulate everything from beautiful and strange sounds. I have settled on a Skreddy Echo, but to be honest it was REALLY hard to leave behind the DMM XO, which is a great modulated delay for a great price (especially used--I've been seeing them as low as $140!). Skreddy won out because of a smaller size and because I preferred the way it produces usable oscillation. The Belle is great. But that DMM xo! It's the real deal and has the most beautiful modulation, if that's what you're missing. @buzzp did you try an expression pedal with the MF-Delay? Set up right the MF-Delay can bring the warble along with the echo. Wait, how does it do that? I have the expression pedal plugged into my drive pedal. I'm happy to get another MF-delay, for sure. You could get an EHX 8-step program and use that to subtly modulate the delay time on the MF-Delay. Interesting, maybe I'll get another and do that. Are you referring to this thing? @buzzp you can modulate the time setting or feedback setting (your choice). If you modulate time you can affect pitch and/or achieve chorusy/flangery-type tones. If you modulate feedback you can vary wildly between a more subtle delay and feedback loops. I leave mine on "time" and bring the pitch warble. It's killer and I control it with my foot in real-time. 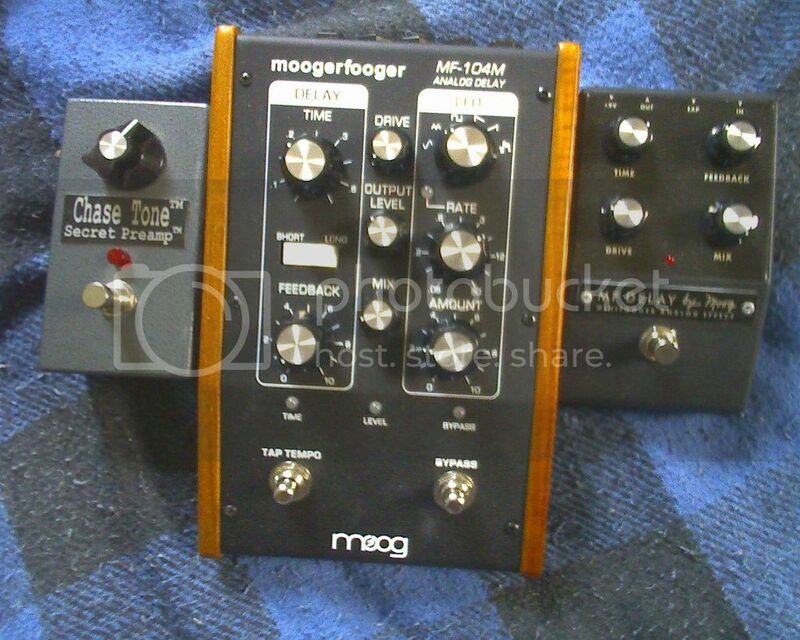 Aside: if you have multiple Moog pedals, I strongly recommend getting an Expressionator. It's super easy to use. You can readily control up to 3 pedals individually or concurrently. Yes. It's pretty cool. It basically an expression pedal that is controlled with a cv step sequencer instead of a treadle. I generally prefer using the expression pedal directly for most things though (personal preference, I do own and use an 8 Step). Very interesting. Looks like I may be getting another Moog delay and then the 8step program! Black_Label, 71strat and Flatscan like this. The MLJr is really a great great pedal. It's sort of a "standard" now, and a little devoid of some of the new fangled bells and whistles but it's a classic for a reason. Jess 1971, buzzp and awallace like this. Tried it in person and while it was really cool, but wouldn't use that as one of my main delays. I really like the Voicings of the MOOG Delays. Both the MF104M, and the Minifooger. Ive got both and for my basic needs, even the MINI does all I need, and more. Both are warm, and pleasing to my ear. 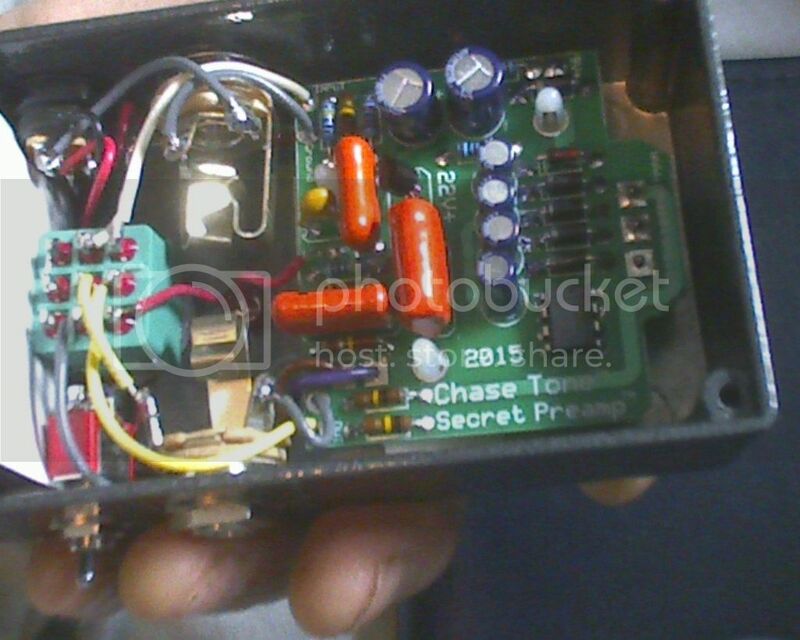 I also recommend a Kyle Chase EP3, Secret Preamp with the Delay, when budget allows. Its an Exact Copy of both the Early/Late 70s EP3s. All were not created equally. This unit uses ALL NOS Parts, original to the EP3, and also runs on the Correct 22V. 6db Boost. The MLjr is the standard for sure I've had 2, but their very simple. I've grown in my use of delays so I needed more. I had the rare Moollon delay which is sooo good and is so tweakable. Just traded it for a GFI Clockwork 2 so we ll see.